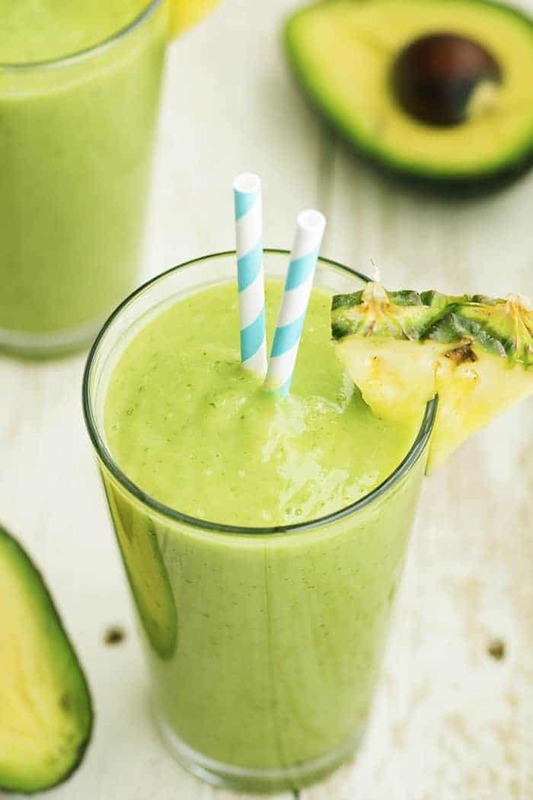 Avocado, pineapple, spinach, kale, coconut and lime come together in this delicious and perfectly smooth smoothie. There are so many delicious things packed into this smoothie you are sure to love! While I was in North Carolina my friend took me to Tropical Smoothie Cafe and told me that I had to try their Avocolada smoothie. I mean. I am totally obsessed with anything avocado. But an avocado in a smoothie? I couldn’t wait to try! 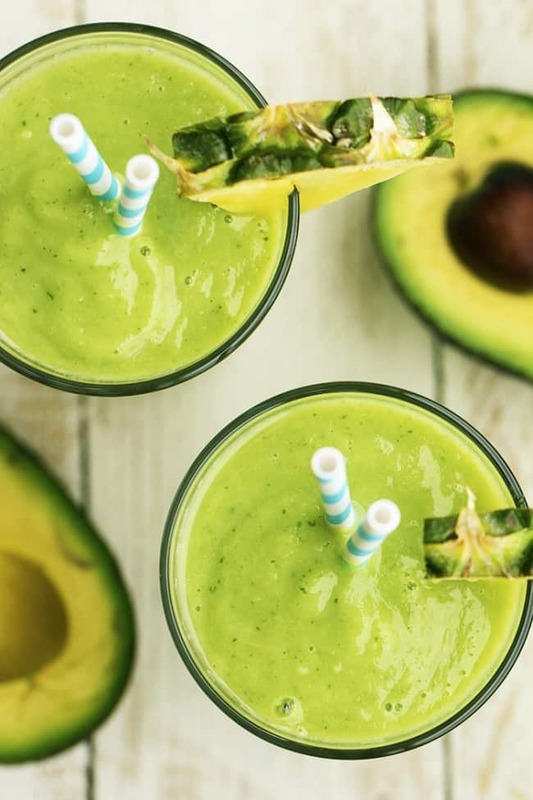 The avocado added such a smooth and creamy texture to this smoothie. I was instantly hooked! Not to mention it has kale hidden inside as well. This smoothie had better for you ingredients hidden inside and it is amazing. I became so obsessed with I had it three times while I was there. I have never had anything like it. I even got one on the way to the airport. But here is the problem. There isn’t a Tropical Smoothie Cafe here in Utah. So, I just had to make it myself! I did find a recipe that tried to recreate the smoothie here. But the recipe was missing a few things including Kale. So with a few things added to it I was able to make this delicious smoothie right at home! It is seriously the creamiest smoothie that I have ever had. It is absolutely delicious with the avocado added. Then you add some pineapple, coconut, and lime and it is amazing. 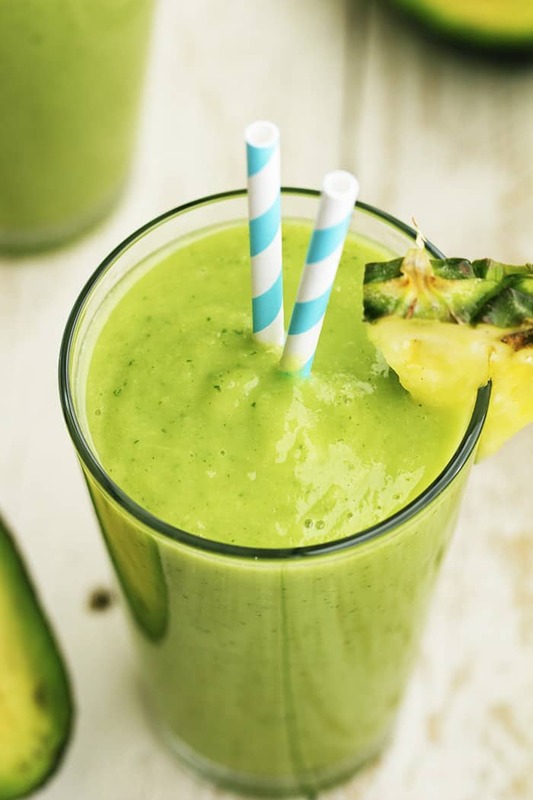 This is the perfect tropical smoothie to make this summer! Put avocado, diced pineapple, spinach, kale, coconut water, agave nectar, lime juice, coconut butter, and vanilla into the blender. I am loving the color of this smoothie!! It looks so pretty and refreshing. Perfect for a summer day! Don’t know where you live in Utah but there is a tropical smoothie cafe in Midvale/sandy near the Cinemark Theaters and Macey’s/Downeast! There is also one in St. george! I love this smoothie so I’m excited to see how a homemade one tastes! WHAT?? There is? I am SO excited!! I made this this morning and it is very sweet. I think I would only do 1T of the agave nector. The flavor is there just very very sweet. please excuse my stupidity but does the capital ‘T’ in your ingredients refer to tablespoon. TSC uses turbinado not agave, I believe. This is ine if my favorites, also beet berry and the chia banana boost with strawberry. Are these the exact ingredients TCS uses? Also my most favorite movie of all time, and I’ve been thinking about trying to get it to make myself because I pay almost 6 dollars for it way too often. I didn’t know they put any type of oil in it ? So would I need the agave if I wanted to make it that way ? I tried this today and was surprised how similar it tastes to TCS! I think I may leave out the agave next time and see if it’s sweet enough. Went to Tropical Smoothie recently with some friends & had this. We all loved it! So when I found this recipe it gave a great reason to get together again. We really enjoyed it!! May put a little more avocado though next time & a little less lime juice. Yummy! Added creme of coconut and left out the nectar and it was amazing! I love the TSC Avocolada smoothie, so I looked online to try and find a recipe to replicate it- Excited to try yours. When I order it at TSC I always ask for no added sugar and 1/2 an add-in of ginger. It’s perfect that way and better for you.